A. El-Sayed, S., Khairy (Egypt), M. (2017). Preparation and Characterization of Fuel Pellets from Corn Cob and Wheat Dust with Binder. 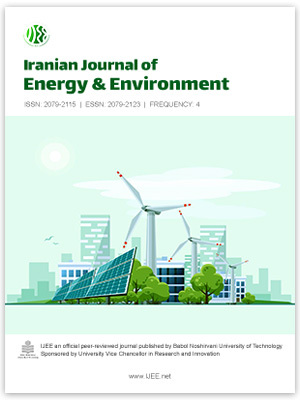 Iranian Journal of Energy and Environment; previously called: Iranica Journal of Energy & Environment, 8(1), -. Saad A. El-Sayed; M. Khairy (Egypt). "Preparation and Characterization of Fuel Pellets from Corn Cob and Wheat Dust with Binder". Iranian Journal of Energy and Environment; previously called: Iranica Journal of Energy & Environment, 8, 1, 2017, -. A. El-Sayed, S., Khairy (Egypt), M. (2017). 'Preparation and Characterization of Fuel Pellets from Corn Cob and Wheat Dust with Binder', Iranian Journal of Energy and Environment; previously called: Iranica Journal of Energy & Environment, 8(1), pp. -. A. El-Sayed, S., Khairy (Egypt), M. Preparation and Characterization of Fuel Pellets from Corn Cob and Wheat Dust with Binder. Iranian Journal of Energy and Environment; previously called: Iranica Journal of Energy & Environment, 2017; 8(1): -.